Design. The LS-324C features no center column, and has no ability to install one. If a center column is important to you, this isn’t your tripod. If you don’t need a center column, the LS-324C takes full advantage of the design freedom that such an omission facilitates. The apex is just large enough to provide a platform for the head and to bolt the legs too. The legs fold up on themselves tightly, eliminating the negative space caused from trying to fold up three tubes around a central one. The result is tripod that is very light for its size and stiffness, a recipe for success in my rankings. Build Quality. For a tripod at this price point, the build quality is excellent. The metal parts are made from anodized machined aluminum. The fit, finish, and feel are thus vastly superior to the molded aluminum components featured on most other tripods made in China. That said, I have experienced some minor quality control problems with Leofoto. On this particular tripod, the pull tabs are quite stiff (further discussion below) and on another, one of the twist locks was chipped. Leofoto doesn’t offer support for their products, and while they claim to offer a 10yr warranty, it is illusory. In most cases, the cost of the shipping back to China for repair would be prohibitively expensive. Feet. 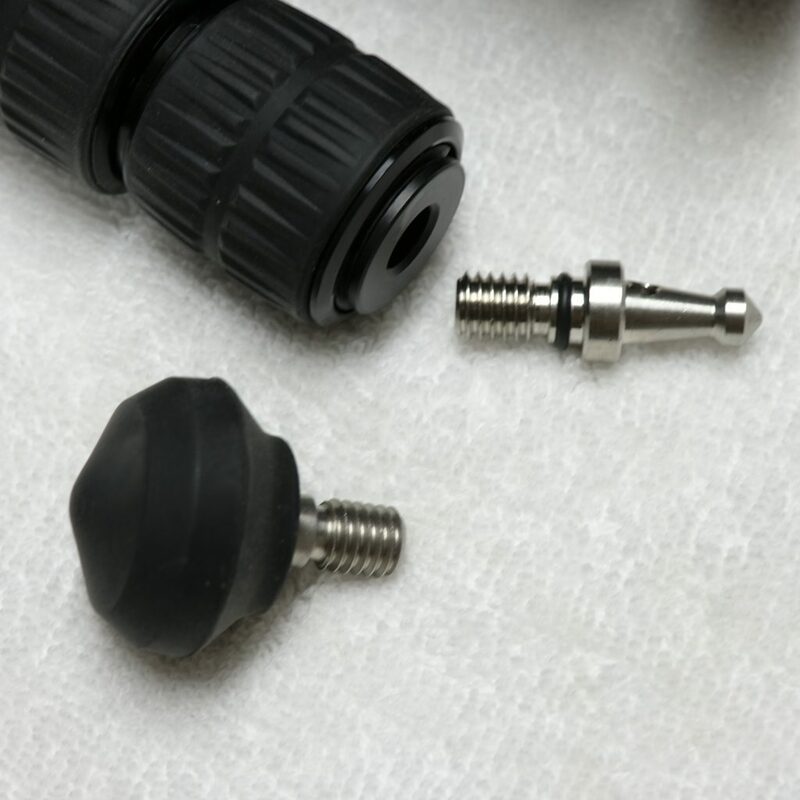 Two types of feet are included with the tripod and both can screw into a 3/8″-16 threaded metal cap at the bottom of the legs. The first is a set of rubber feet that are useful on almost any type of surface. The rubber is beveled to match the three different leg angles possible. This is great until the tripod is used on any sort of uneven ground. It doesn’t hurt, but clearly there is no benefit either. The second set of included feet is a set of spikes. Spikes are great for loose ground such as sand or snow. Unfortunately, the spikes included here are less than 1″ in length, and so don’t do much in situations where you really want to be using spikes. These spikes are nice for soft dirt and grass, but the rubber feet work perfectly fine here. The spikes will most likely just live storage. Top Plate. 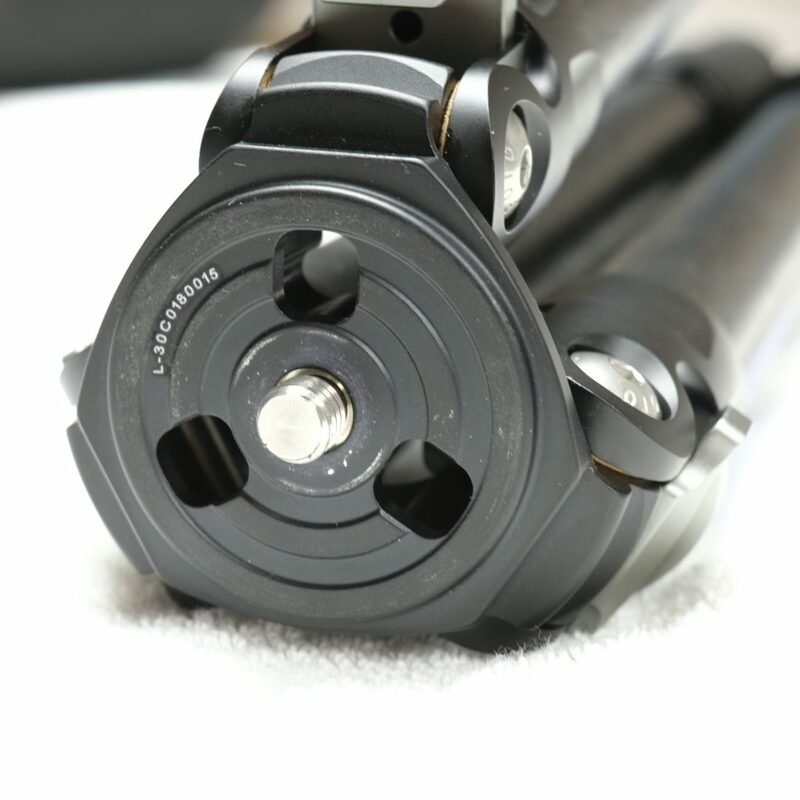 There is no exchangeable top plate or center column on the LS-324C. The head just screws down onto the bare metal of the apex. 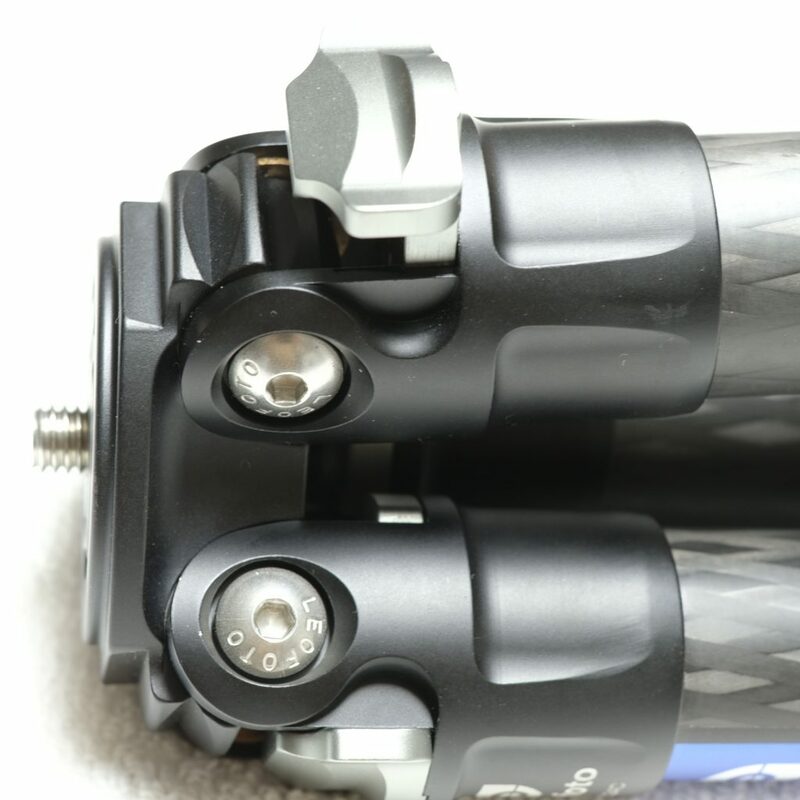 Most tripods have some sort of plastic or rubber pad between the apex and the head, which both protects the metal bits from wear and improves the damping characteristics. The damping on the LS-324C is very reasonable regardless, so the pad clearly isn’t necessary from this perspective. Be aware that you may wear the finish off of the top plate over time, but this is harmless to everything except aesthetics. The image of the top plate shows the wear from just a handful of head changes. Angle Selectors. The LS-324C features the standard pull tab angle selectors. These pull out to allow for an alternate angle stop to be selected, then snap back into place. At least, that is what they are supposed to do. The action is much stiffer than it should be. Sometimes, I can’t pull the tab out with any amount of force until it is jiggled free. This is likely the result of lack of precision in the machining, a lack of grease, or some combination of the two. This is just an annoyance, and doesn’t really affect the overall performance, but contributes to the feel of a product that isn’t 100% finished. Carbon Fiber Quality. 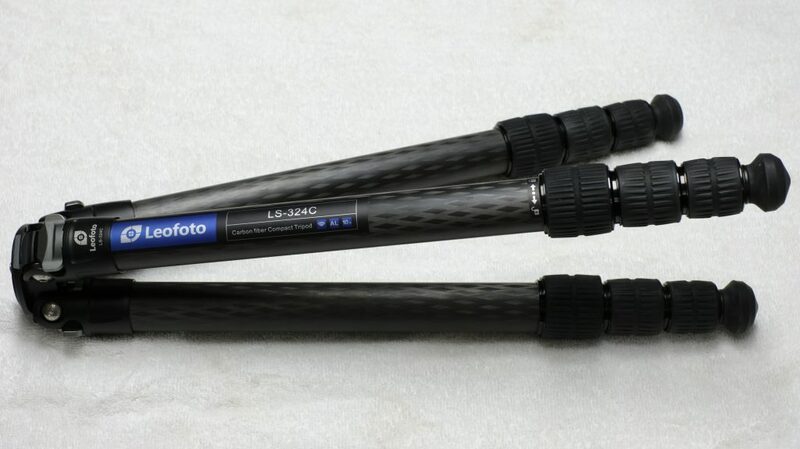 The carbon fiber quality used on the LS-324C is the same as used on all Leotofo tripods. 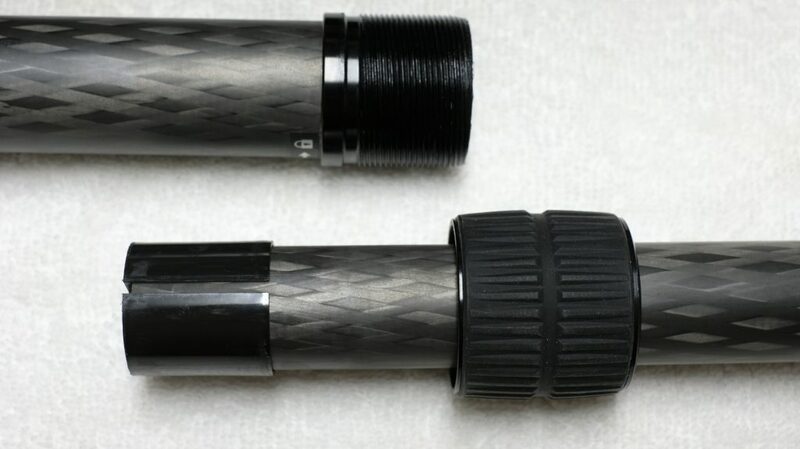 The claim is that the tubing is made from ten layers of Torayca carbon fibers. This sounds good on its face, but in practice doesn’t mean much. More important is the fiber to resin ratio, layup of the fibers, and modulus of the fibers used, none of which is publicized. Our primary indicator for the quality of the tubes used is then the stiffness of the tripod. From our experience with Leofoto tripods, we see that the tubes are good, but not exceptional quality. They are decidedly mid-range.